located in beautiful Sealy, Texas. 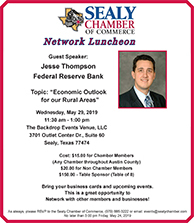 The Sealy Chamber of Commerce believes that a strong, vital community goes hand-in-hand with a strong, vital business environment. By offering a variety of outstanding business programs, the Sealy Chamber of Commerce is dedicated to providing something for everyone. Whether you're a sole proprietor, CEO or an area resident raising a family, the Chamber has resources and programs to meet your needs. 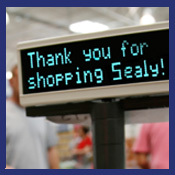 Our Vision: To make Sealy the best choice to live, work, play and prosper. Our Mission: To promote business prosperity and strengthen the quality of life in our community. but please free to call our staff directly at 979-885-3222 for any questions you may have. 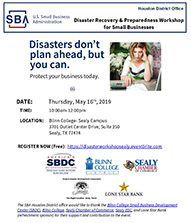 Don't miss these upcoming Chamber events...click on each to see details. Membership in the Sealy Chamber includes many benefits, including opportunities for web advertising and enhancements to your membership listing. 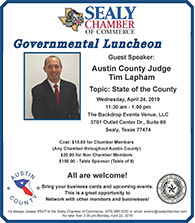 You'll find several pages for more information on becoming a member of the Sealy Chamber. Stay current on our community news & events – Sign up for our Weekly News Blast!